Stéphanie a reçu sa thèse de mathématiques appliquées en 2007 sous la codirection d’Alain Trouvé et de Laurent Younes. Après un post-doctorat au Center for Imaging Science de la JHU à Baltimore, elle a rejoint le Centre de mathématiques appliquées de l’Ecole Polytechnique en 2008 comme professeure chargée de cours, puis a été recrutée comme professeure en 2016 à la faculté de médecine de l’université Paris Descartes. Ses recherches se concentrent sur l’analyse statistique de données médicales afin d’extraire des comportements caractéristiques de populations, classifier les patients et proposer des outils d’aide au diagnostic précoce ou à la prise en charge des malades. Bayesian inference provides an attractive online-learning framework to analyze sequential data, and offers nice generalization guarantees. Unfortunately, exact Bayesian inference is rarely feasible in practice and approximation methods are usually employed, like variational approximations. However generalization bounds for many of these approximations are not known. In this talk I will show that this is indeed the case for an online, tempered variational inference method. We do so by deriving a new generalization bound which relies on the convexity of the variational objective. We argue that our result should hold more generally, and present empirical results in support of this. Chloé-Agathe Azencott is an assistant professor of the Centre for Computational Biology (CBIO) of MINES ParisTech and Institut Curie (Paris, France). She earned her PhD in computer science at University of California, Irvine (USA) in 2010, working at the Institute for Genomics and Bioinformatics. She then spent 3 years as a postdoctoral researcher in the Machine Learning and Computational Biology group of the Max Planck Institutes in Tübingen (Germany) before joining CBIO. Her research revolves around the development and application of machine learning methods for biomedical research, with particular interest for feature selection and the integration of structured information. Chloé-Agathe Azencott is also the co-founder of the Parisian branch of Women in Machine Learning and Data Science. And yes, she’s Robert’s niece. Gérard Ben Arous, a specialist of probability theory and its applications, has been Professor of Mathematics at NYU’s Courant Institute since 2002 and served as its Director and NYU’s Vice Provost for Science and Engineering Development from 2011 to 2016. A native of France, Professor Ben Arous studied Mathematics at École Normale Supérieure and earned his PhD from the University of Paris VII (1981) under Robert Azencott. He has been a Professor at the University of Paris-Sud (Orsay), at École Normale Supérieure, and at the Swiss Federal Institute of Technology (EPFL) in Lausanne, where he held the Chair of Stochastic Modeling. He headed the department of Mathematics at Orsay and the departments of Mathematics and Computer Science at École Normale Supérieure. He also founded the Bernoulli Center, a Mathematics Research Institute, at EPFL. Professor Ben Arous is a member of the American Academy of Arts and Sciences, a Fellow of the Institute of Mathematical Statistics and an elected member of the International Statistical Institute. He has received various international distinctions, among which a senior Lady Davis Fellowship (Israel), the Rollo Davidson Prize (Imperial College, London), the Montyon Prize (French Academy of Sciences), and is a “Chevalier des Palmes Académiques” for his work promoting French culture in New York. He works on probability theory (stochastic analysis, large deviations, random media and random matrices) and its connections with other domains of mathematics (partial differential equations, dynamical systems), physics (statistical mechanics of disordered media), or industrial applications, like Data Science recently. He is mainly interested in the time evolution of complex systems, and the universal aspects of their long time behavior. He has trained 35 younger colleagues, 20 PhD students and 15 Postdocs, who are now working in academia or industry across the world, from New York to Paris to Caltech or Boston, Lyon, Santiago, Geneva, Montreal, Berlin and Vienna. It has been known for a long time that the Maximum Likelihood Method, which is often considered as a universal one, is actually definitely not. Although quite good under sufficiently strong assumptions, it may simply not exist or be inconsistent and can behave in a terrible way under some very small deviations from the assumed model : it is not robust. An attempt to replace it by a more universal and robust one dates back to Le Cam (1973) for i.i.d. variables with an extension to independent non i.i.d. ones in 1975. My doctoral thesis was devoted to the generalization of his results in various directions, in particular robustness and I also provided some conditions for the resulting estimator to be minimax, relating the minimax risk to some notion of dimension. After some years of work with Pascal Massart on model selection and its applications to adaptation, I introduced in 2006 a new version of my initial method which included both robustness and model selection and that I called T-estimators since it was derived from tests. A major progress was made in the construction of such tests by Yannick Baraud (2011) and since then Yannick and me used this new idea to build and study a new family of estimators that we called p-estimators and which can be viewed as robust versions of Maximum Likelihood estimators. I intend to present some ideas underlying their construction. Gilles Blanchard est un statisticien, professeur à l’Institut de Mathématiques de l’université de Potsdam, en Allemagne, et actuellement visiteur à l’IHES. Après avoir étudié à l’École Normale Supérieure et obtenu son doctorat à l’université Paris-Nord, il devient chercheur au CNRS et, en 2002, part pour Berlin où il sera d’abord chercheur à l’institut Fraunhofer, puis Weierstrass. Ses recherches portent sur l’étude des propriétés mathématiques de méthodes d’apprentissage automatique (“machine learning”) et se situent à l’interface entre statistiques et informatique théorique. We construct a frame (redundant dictionary) for the space of real-valued functions defined on a neighborhood graph constructed from data points. This frame is adapted to the underlying geometrical structure (e.g. the points belong to an unknown low dimensional manifold), has finitely many elements, and these elements are localized in frequency as well as in space. This construction follows the ideas of Hammond et al. (2011), with the key point that we construct a tight (or Parseval) frame. We demonstrate the interest of this representation for denoising. cally on PAC-Bayesian generalization bounds and heavy tailed data, making connections with information theory and statistical mechanics. In the last few years, he got interested in statistical corpus linguistics and its possible application to the analysis of other types of signals. We will describe in this talk statistical models based on conditional independence assumptions that provide some kind of syntax analysis. We will show that these models can be applied not only to corpus linguistics, but also to the analysis of statistical samples of digital signals. Stuart Geman graduated from the University of Michigan with highest honors in physics. He received a masters degree in neurophysiology from Dartmouth College, and the Ph.D. degree in Mathematics from the Massachusetts Institute of Technology. He is currently the James Manning Professor of Applied Mathematics at Brown University. He is a Fellow of the Institute of Mathematical Statistics, a Fellow of the American Mathematical Society, and a member of the U.S. National Academy of Sciences. Jean-Michel Morel received the PhD degree in applied mathematics from University Pierre et Marie Curie, Paris, France in 1980. He started his career in 1979 as assistant professor in Marseille Luminy, then moved in 1984 to University Paris-Dauphine where he was promoted professor in 1992. He is Professor of Applied Mathematics at the Ecole Normale Supérieure Paris-Saclay since 1997. His research is focused on the mathematical analysis of image processing. He is a laureate of the Grand Prix Inria-Académie des Sciences, of the Longuet-Higgins prize, and of the CNRS médaille de l’innovation. 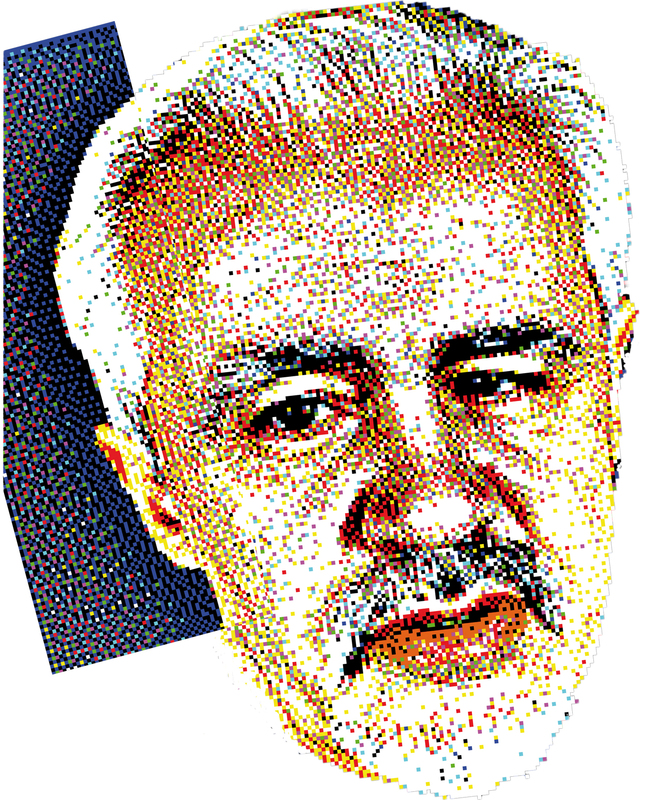 After a PhD in mathematics prepared at ENS Paris on statistical models for natural language processing, JP Vert worked at the interface of machine learning and biology and held different research positions at Kyoto University, Ecole des Mines de Paris, Institut Curie, UC Berkeley, ENS Paris and Google Brain. His main research interest is on the development of statistical models and machine learning approaches for genomic data, with applications in systems biology and cancer precision medicine. – Lucien BIRGÉ, Paris Sorbonne University. Some attempts toward the construction of a “universal” estimator. – Gilles BLANCHARD, IHES, Postdam University. Construction of tight wavelet-like frames on graphs (joint work with Franziska Göbel and Ulrike von Luxburg). – Andreas MANG, Houston University. Fast algorithms for optimal control formulations for diffeomorphic shape matching in 3D (joint work with R. Azencott, George Biros, Jiwen He et al.). – Jean-Michel MOREL, CMLA, ENS Paris-Saclay. Une énigme de la perception: la détection d’anomalies (travaux communs avec Axel Davy, Mauricio Delbracio, et Thibaud Ehret). – Stéphanie ALLASSONIÈRE, Paris Descartes University. Les algorithmes de type EM : puissance et versatilité. Calcul Haute Performance et IA. Programme EuroHPC. Intelligence Artificielle, mathématiques et industrie. Allocution de Robert AZENCOTT, Houston University. – Gérard BEN AROUS, Courant Institute, NYU Shanghai. Sur les traces de Robert Azencott : des verres de spins aux Data Sciences. – Jean-Phillipe VERT, Google Brain, Mines ParisTech. – Stuart GEMAN, Brown University. On the computational challenges of Natural and Artificial Intelligence. – Laurent YOUNES, Johns Hopkins University. Espaces de formes et applications. – Pierre ALQUIER, ENSAE ParisTech. Generalization bounds for online variational inference (joint work with James Ridgway, Badr-Eddine Chérief-Abdellatif and Mohammad Emtiyaz Kahn). – Ilaria GIULINI, Paris Diderot University. – Chloé-Agathe AZENCOTT, Mines ParisTech, Institut Curie. Variable selection in high-dimensional data for precision medicine. 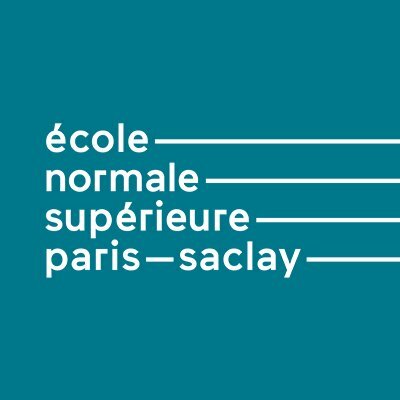 – Nicolas VAYATIS, CMLA, ENS Paris-Saclay. 20 ans de Machine Learning. Participation gratuite. Inscriptions closes. Contacter le secrétariat du CMLA. Mathilde MOUGEOT, ENSIIE, ENS Paris-Saclay. Charles-Albert LEHALLE, CFM, Imperial College. Alain TROUVÉ, CMLA, ENS Paris-Saclay. Nicolas VAYATIS, CMLA, ENS Paris-Saclay. Laurent YOUNES, Johns Hopkins Univ. La chaire Industrial Data Analytics & Machine Learning regroupe les partenaires Atos, le CEA, Bertin IT, Michelin, la SNCF ainsi que l’ENS Paris-Saclay et l’ENSIIE. Robert Azencott, actuellement en poste à l’université de Houston au Texas, est un chercheur français dont l’empreinte dans le paysage des mathématiques appliquées françaises est considérable. Ancien élève de l’ENS Paris, Robert Azencott quittera ses premières amours, la géométrie algébrique, pour se tourner vers la théorie des probabilités et la théorie des grandes déviations, avant de s’enthousiasmer pour la compréhension et l’étude des potentialités de l’intelligence distribuée, à l’époque où les réseaux de neurones commencent à peine à émerger. Il comprend alors la nécessité de développer un programme d’avant-garde comprenant : un volet recherche académique avec le développement vigoureux de l’équipe DIAM (Distributed Intelligence and Applied Maths) au sein de l’université Paris-Sud, puis de l’ENS de Cachan, ainsi que du groupement de recherche (GDR) « Mathématiques des systèmes perceptifs et cognitifs » ; un volet enseignement avec la création du master MIA (devenu vingt ans plus tard l’incontournable Master MVA : Mathématiques, vision, apprentissage) ; et un volet R&D d’applications à l’industrie avec la création de plusieurs start-up dont Miriad Technologies, autour de solutions à base d’algorithmes d’apprentissage. La mathématique pour le développement de solutions algorithmiques auto-apprenantes à partir de données a connu un développement exceptionnel ces dernières années, et a révolutionné le domaine de l’Intelligence artificielle. Robert Azencott a été et reste un acteur majeur de cette évolution. Aujourd’hui, ses anciens étudiants en France ont souhaité témoigner de son caractère visionnaire en organisant la conférence internationale « Éléments de mathématique pour l’Intelligence artificielle » en son honneur. Cette conférence rassemble sur deux jours des communications de chercheurs travaillant dans les champs des mathématiques auxquels Robert Azencott a contribué et contribue encore aujourd’hui de manière significative : la théorie des grandes déviations, le traitement d’images, et l’apprentissage statistique. Les deux journées, organisées les 14 et 15 mai 2019 à l’ENS Paris-Saclay, proposent des sessions thématiques d’exposés scientifiques et une table ronde rassemblant des chercheurs en mathématiques qui contribuent aujourd’hui activement au développement de solutions innovantes à base de mathématiques dans l’industrie. MLMDA research group, CMLA, ENS Cachan, France. All rights reserved 2014-2019.